Carson Wentz will watch as Nick Foles straps up Week 1. 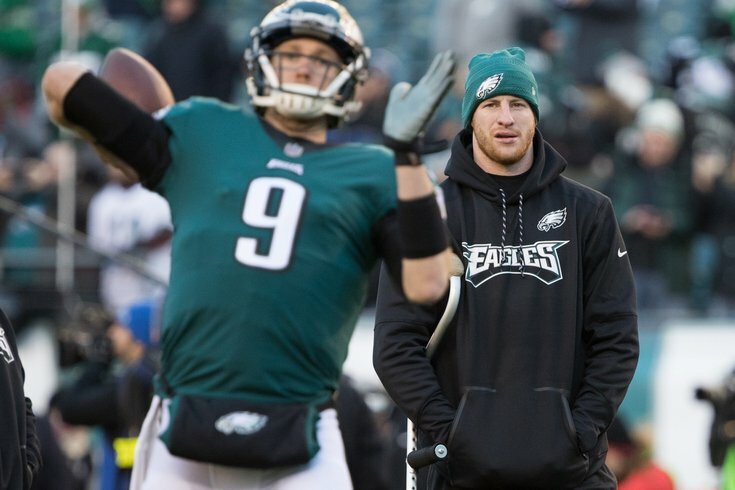 In a quick, 21-second press conference Monday morning, Doug Pederson said that Nick Foles will be the Philadelphia Eagles’ Week 1 starter at quarterback against the Atlanta Falcons this Thursday. And so ends the mystery. The Eagles will now be without their starting quarterback in Carson Wentz (ACL/LCL), their top wide receiver in Alshon Jeffery (rotator cuff), and a starting linebacker in Nigel Bradham (suspension).